Here, wine experts reveal their favorite bottles that cost less than $17. This week, a Baltimore wine buyer takes a locavore approach to pairing. Here, wine experts reveal their favorite bottles that cost less than $17. Many of the selections are lesser known but absolutely worth the search. What: Chatham Vineyards Church Creek Chardonnay. 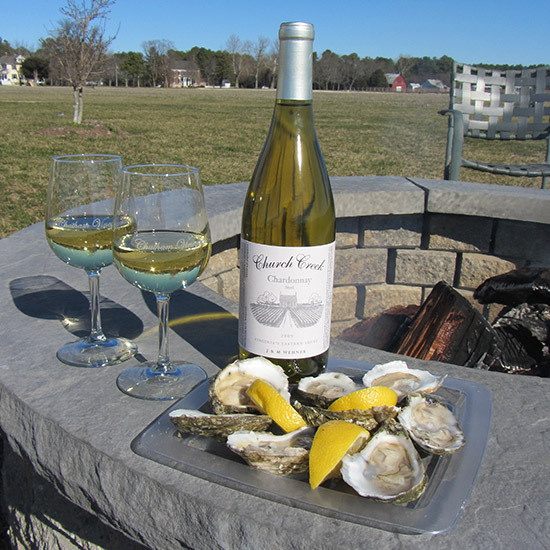 Why: Chatham Vineyards is located on Virginia's Eastern Shore, very close to Shooting Point Oyster Company, one of the great local family farms from which Woodberry Kitchen source oysters. The Chardonnay is steel-fermented and completely unoaked. “There is no better pairing for fresh Chesapeake seafood than from the local grower, practicing organic farming, right next door,” says Slater.